For poetry lovers, I would recommend Metamorphoses by Ovid. Not for the faint-hearted, but if you love Chaucer and Shakespeare then this might interest you. In fact, it probably is a lot easier to grasp. In some ways Metamorphoses is equal to the ‘bible’; the bible of Greek and Roman mythology. From Perseus and Andromeda to Pyramus and Thisbe, all the well-known tales are included. If you understand Ovid’s work, then you will know that most of his work revolves around the theme of love. Ultimately, Metamorphoses is an epic love poem. Like most poetry, you really need to take your time reading and eventually you will begin to enjoy it all. Ovid’s epic poem is one of the most important texts of Western imagination and an inspiration for writers. In his award-winning translation, Charles Martin combines fidelity to Ovid’s text with verse that catches the speed and liveliness of the original. This is a popular novel among readers since the past decade. If you are interested in Medieval History and the growth of characters then this is definitely a novel for you to read. Basically this novel is revolved around a building of a cathedral. You may think that this is not interesting, but I tell you now, it may certainly is. There are many characters in this book, each one having their own part to play. Thus gradually, you’ll end up choosing a favourite. At times you may start crying, but eventually you will fall in love. Give it a try. Set in the turbulent times of twelfth-century England when civil war, famine, religious strife and battles over royal succession tore lives and families apart, The Pillars of the Earth tells the story of the building of a magnificent cathedral. Against this richly imagined backdrop, filled with intrigue and treachery, Ken Follett draws the reader irresistibly into a wonderful epic of family drama, violent conflict and unswerving ambition. From humble stonemason to imperious monarch, the dreams, labours and loves of his characters come vividly to life. The Pillars of the Earth is, without a doubt, a masterpiece – and has proved to be on of the most popular books of our time. 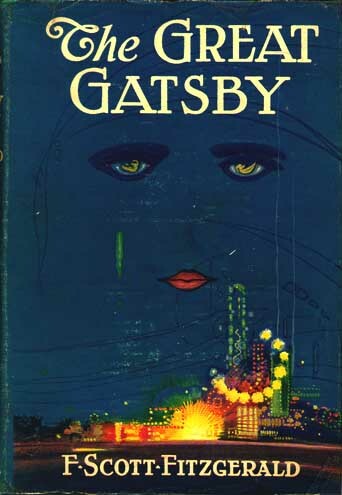 Most of us are forced to read “The Great Gatsby” in school at one time or another, but like many of the literary classics that are shoved down the throats of unsuspecting twelve year olds, “Gatsby” becomes much more engaging and enjoyable when not read for a school assignment. Light enough to be read without checking foot-notes but well-written enough to be timeless, “The Great Gatsby” is a perfect choice for those who want a low-pressure summer read – with substance. I’ve read it several times and still enjoy both the story and Fitzgerald’s beautiful writing style every time I go back to it. Set in the hectic and colourful Jazz Era of the 1920s, “The Great Gatsby” is narrated by Nick Carraway, who graduates from Yale shortly before the story begins. When Nick buys a home on Long Island, a few miles away from his cousin Daisy and her husband Tom, they draw him immediately into the area’s complicated social politics and extravagant parties. Their neighbours are high-strung, opulent people who seem to thrive on the chaos that they generate – besides, curiously, the extremely wealthy, enigmatic Mr. Gatsby, who hosts enormous parties that he doesn’t seem to enjoy. Nick soon becomes friends with Gatsby, leading him to discover the seemingly long-forgotten romantic history that exists between Gatsby and Daisy. Gatsby’s hope for a future with Daisy has been a secret for years, but it comes to the surface with tragic, unexpected consequences when Nick makes an effort to bring the two of them back together. I like what you have here. Great looking blog and solid content. I was dreading having to read The Great Gatsby for school, but I actually enjoyed it quite a bit. Very interesting story, not to mention the fact that I love the era that books was set in.